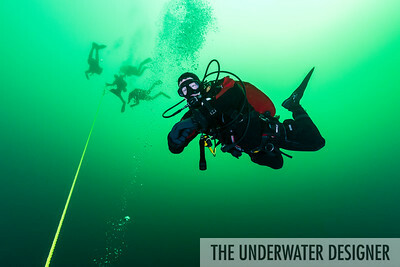 I dive for different reasons at different times. While creating underwater photography to share our underwater environment strongly motivates me, I also love the sport of diving and the sensation of being underwater. 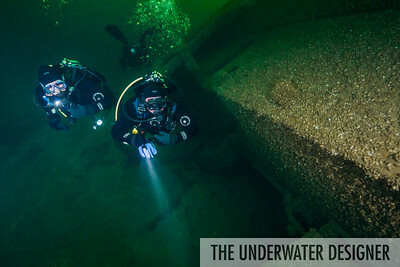 When I flew to New York for a weekend of diving on Lake Erie with the Durham Divers SCUBA Club, my goal was to dive New York again for my 50 state journey and to be absolutely sure that I was in New York state waters. Goals are simple tasks that can be accomplished, but they are not what drive my journey. It's what I don't plan that keeps me moving forward. I could never foresee that the group of energetic divers I met from Ontario, Canada while diving my American journey would be so exciting and fun. They surprised me with their graciousness and are a good reminder of why diving is rewarding. 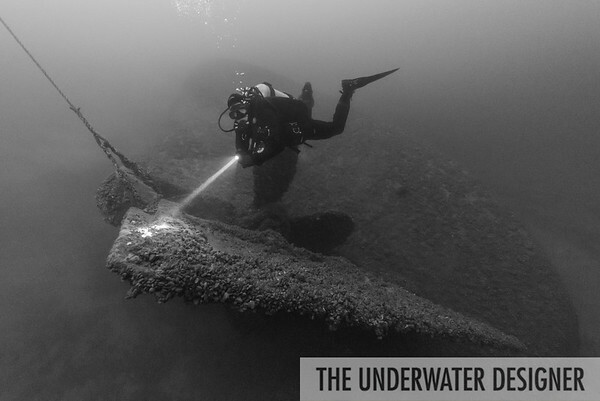 They were supportive of everyone on the charter, valued safety first, and were driven by the eagerness to jump in and see what's down there, even if they had already visited these wrecks. Diving in Lake Erie is a cold water challenge at a brisk 38º, so it's not something everyone would enjoy. However, prepared for the dive, my buddy Terry Mitchell and I were so excited that we didn't feel any chill. It is also relatively deep with our wrecks lying at 130' and 115'. 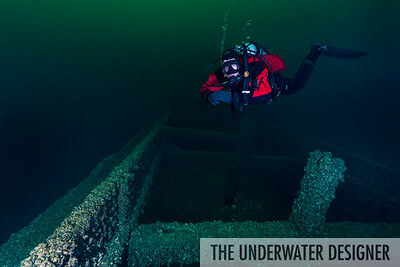 I admit that I was daunted by the concept of diving the Great Lakes. 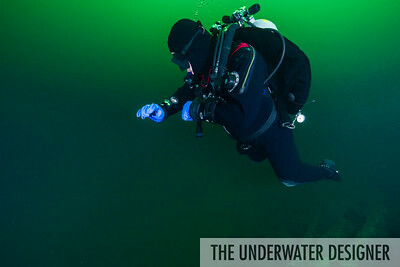 This would be my first dive in our Great Lakes, and I felt like it was a little challenging. I came prepared with both equipment and training and was well rested. 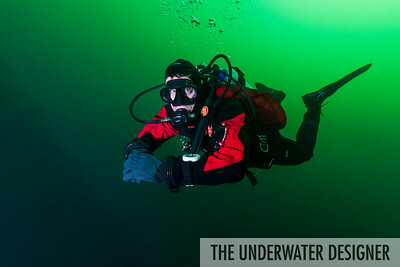 Even though our basic training is rooted in the same principles, divers vary in style. 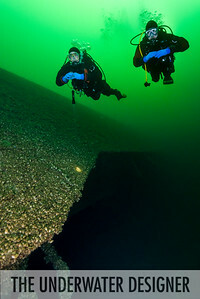 I didn't know who I would be diving with and was jumping in my first Great Lake with a set of doubles on my back. 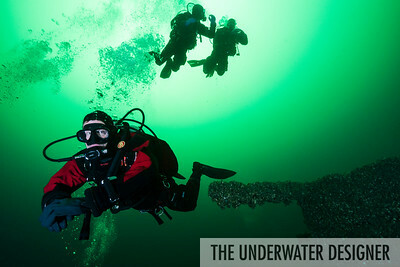 I was happy that they dove as a group and communicated well underwater. 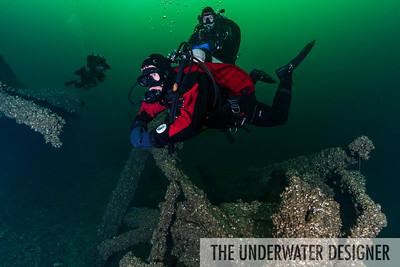 My buddy was a PADI Divemaster who was a delightful buddy with good trim and better air consumption than I had while trying to learn this wreck, get a couple of photos that worked, and avoid decompression time. 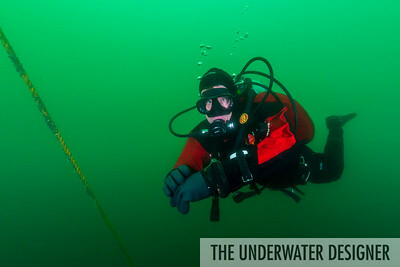 I really wish I could have done two dives on the John J. Boland. It's a very pretty steel bulk freighter covered in giant zebra mussels. She sank in a storm when her holds filled with water and her rudder stopped responding. You can see in one of my photos where Mitchell lights up the rudder, held in place by history. 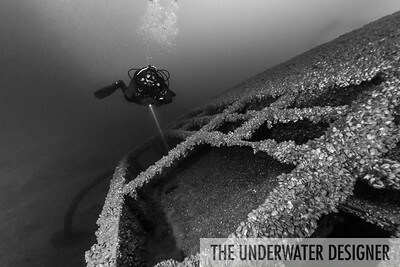 Nonetheless, by the time I realized what I wanted to see on the wreck and what I wanted to photograph, we were on to the Betty Hedger. I was much more comfortable on the second dive and knew what to expect with the rest of the divers, waiting at the surface for us all to be ready for our descent. After diving the Boland, I was hopeful for this barge that sank in a storm filled with her sulfur cargo. While I would not dive the Betty Hedger again, I was thrilled to be a part of this group. Afterward, we met for our dinner reservation at the gas station in this small town for a home cooked meal of smoked chicken and strawberry rhubarb pie. This would be my first tasting of rhubarb pie, of which I was delighted and grateful to the group for letting me order the last piece. As we left dinner, I looked over at a remarkable sunset across Lake Erie. I couldn't resist going to the shores for a quick photo that perfectly defined this trip. Well, the Moosehead beer helped a little.